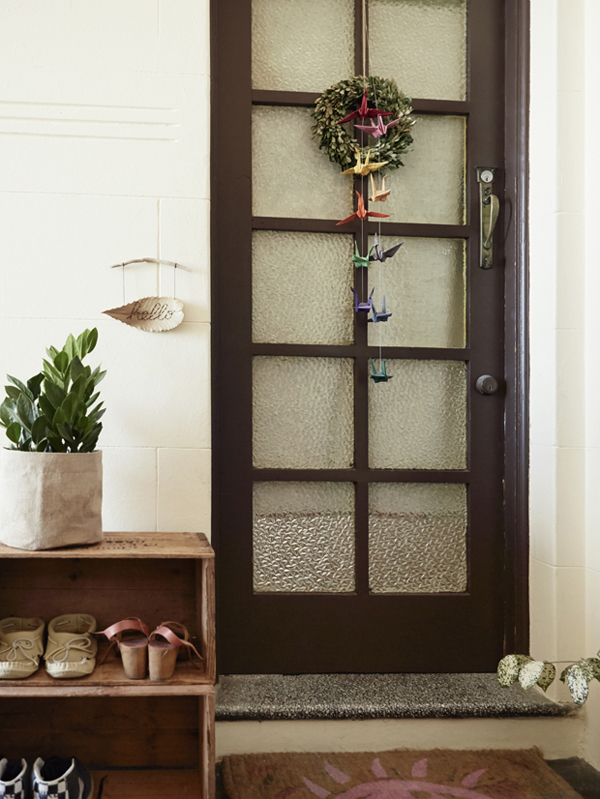 the transcontinental affair: 5 ways to dress up your front doorway! because this isn't the prettiest of interiors posts, I'm calling it an 'ideas post'. 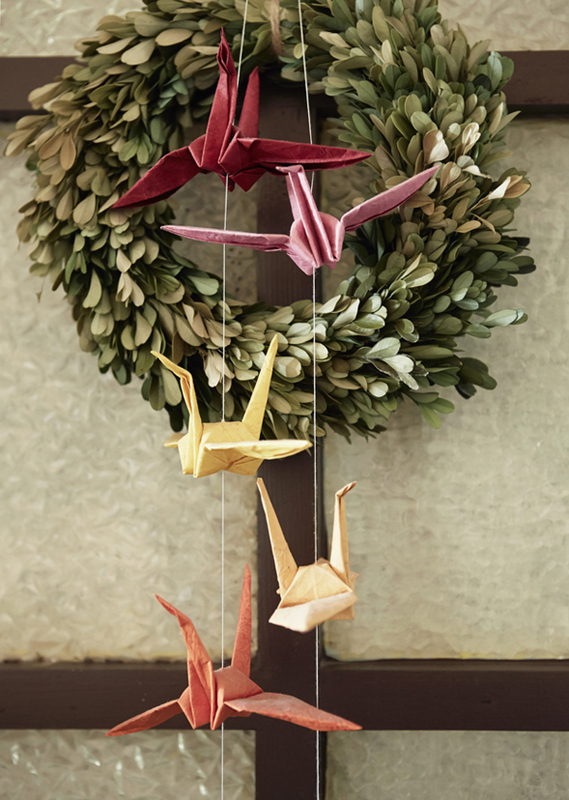 what can you do to jazz up your front doorway when you live in an apartment block? believe me, the first thing I would do is paint my front door if I could (I have already painted the inside half of it a buttercup yellow). I have re-arranged quite a few things in my rental, but I feel that painting the outside door would just be drawing too much attention to the many other changes I've made inside...which so far...no one has said anything about. phew! even if you have a drab coloured door that you have to live with, it doesn't mean you can't do wonderful things around it to make it more welcoming for yourself and your visitors. I added two wooden crates as makeshift shelves for shoe storage, so that our entrance is a little more tidy. I don't know about you, but I am a shoes off at the door kind of girl (I think it's a Canadian thing); having a place for people to actually put their footwear, makes the ritual more inviting. definitely get a plant to make the area feel more 'homey'. this ZZ plant is described to 'thrive on neglect' which is perfect for low or fluorescent lit apartment halls, but it is still glossy, green and gorgeous. also, a little hello sign is nice...I embroidered the greeting onto a dried Banksia leaf and hung it from a piece of driftwood. 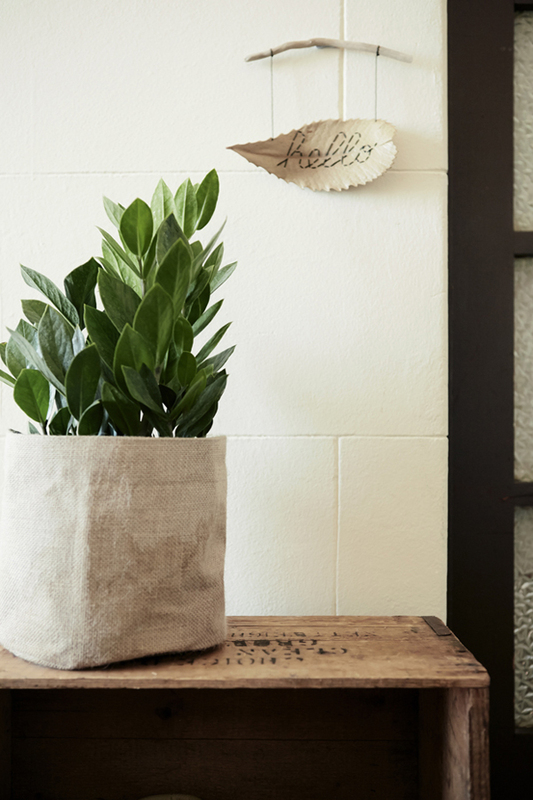 hang something colourful and handmade for a welcoming touch that can be switched up whenever the whim takes you. a wreath does not have to only mean Christmas, I like to think of it as representing the circle of life or friends. 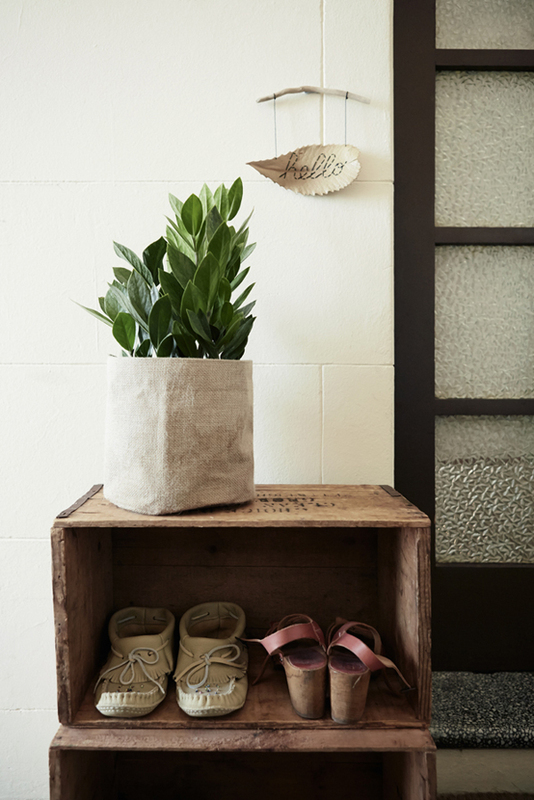 the easiest and most fun addition to your front door is your welcome mat. make your own stencil out of card paper, tape it down and then paint through the cut outs onto your doormat. for the best results, get another person to help you hold the stencil down while you paint. I was inspired after a trip to Istanbul to paint this eye on mine; a version of the evil eye acting as a protector to those inside and out. 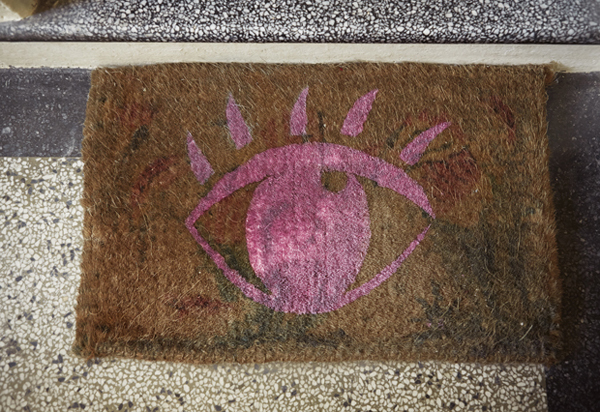 what would you paint on your DIY doormat?